A bachelorette party at Bobby McKey’s is sure to be a night to remember... or not. Make sure your best girl’s last night on the town as a single woman is full of laughing, singing, and dancing (maybe even on top of the bar). Our world-class performers will make sure you have a night for the books. You can also choose from drink specials and party packages to enhance your experience. 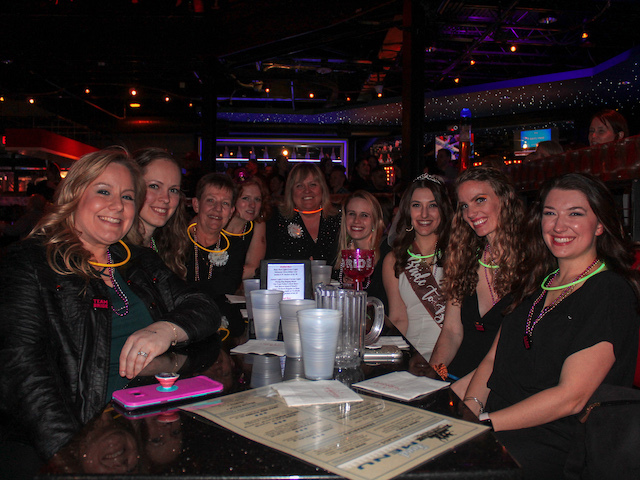 Bobby McKey's is the BEST place in the D.C. area to host a bachelorette party! Select Buy Show Tickets for more information and to book your seats. The dueling piano show at Bobby McKey’s was bachelorette Amy’s first experience with an interactive show like ours. Friends of hers who’d been here before had told her about a “really fun piano bar” she had to check out! She had been planning to attend the show for at least six months and finally decided on Bobby McKey’s for her bachelorette party. Her friend Megan booked the seats exactly one month in advance and the plan was now in motion! To say she had fun would be an understatement. Decked out in a white party outfit, “Bride to Be” sash, and tiara, Amy danced and sang the night away accompanied by her friends and family. 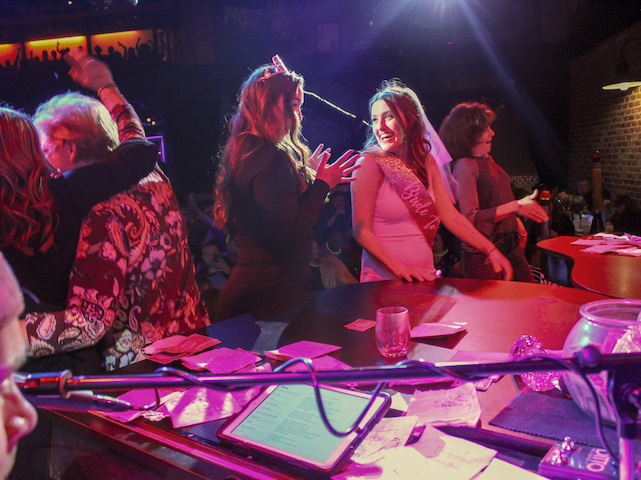 She hopped on stage to be serenaded by our super talented piano players and got to revel in the colorful confetti raining down from the ceiling as the performers closed out a rousing rendition of “Don’t Stop Believin”. 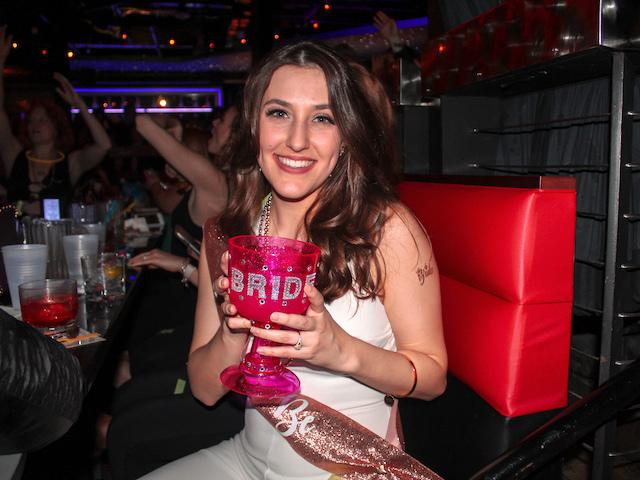 With her bright pink and bejeweled Bride signature cup at the ready for delicious drinks and her infectious smile, Amy partied well into the night. Bobby McKey’s wishes Amy and her fiancé all the best for their future together and hope to see them both here for more celebrations!